HÀ NỘI — The construction ministry is drafting a project on management of the property market through six measures to support transparency and stability, Minister of Construction Phạm Hồng Hà said. 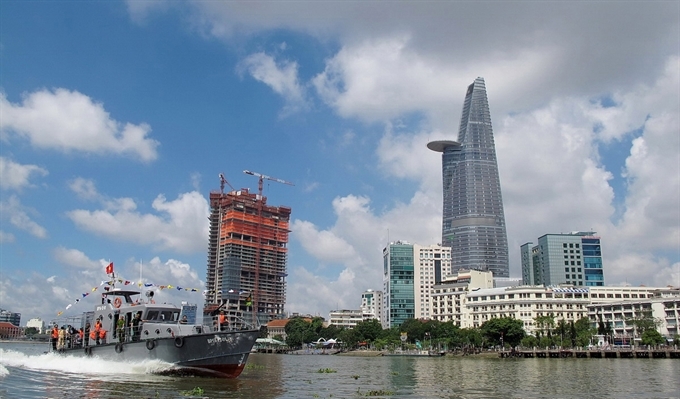 Hà said at a meeting with property developers -- held by the Việt Nam Real Estate Association last week -- that the property market in the first seven months of this year was stable and that no unusual developments were seen. However, there were potential risks to which special attention must be given. Hà said the imbalanced developments in supply and demand of luxury projects and housing projects for low-income earners were a problem, adding that oversupply of the former and shortage of the latter had been forecast from the beginning of 2017. Việt Nam needs 10 million square metres of social housing, but currently has only 30 per cent of that. In addition, there is a severe shortage of housing projects for lease. Promoting social housing developments would be the focus, and policies would be prepared to encourage property developers to invest in this segment, Hà said. The concentration of the credit flow in high-end projects or a minority of developers was another risk, although outstanding loans in the property sector remained at a safe eight per cent of the total outstanding loans, he said. Hà said property developers should tighten management of their own projects to ensure liquidity and be prepared for credit tightening policies. Hà said while there was some speculation in some projects, it had not become a widespread phenomenon. The ministry would closely watch the market developments to ensure sustainable growth and efficient and cost-effective use of resources, Hà said, stressing the importance of the real estate market in macro-economic stability. Hà said financial resources for property development played a key role. “It’s time Việt Nam eyed new capital sources such as from real estate investment trusts,” Hà said. Capital for property development in Việt Nam main comes from developers, banks and citizens. In the draft, the ministry is seeking to prepare policies to accelerate the capital market for property development. Improving the transparency of the property market is also an important measure. Tạ Văn Tố, general director of the CEO Group, said the ministry should hasten the simplification of administrative procedures. President of the Việt Nam Real Estate Association Nguyễn Trần Nam said detailed instructions for transactions in unfinished property projects were needed, together with tighter management to ensure compliance. Nam said the construction ministry should work with relevant ministries and agencies to publicise areas where foreigners would not be allowed to buy houses or apartments.